The new FPX series feature a new plating technique which delivers sonic improvements and a more durable finish. Also Unique to the FPX series is a pin insert construction that ensures increased contact areas, stable transmission and the tightest contacts in the Audio industry and they won’t scratch or mark the plating on male AC connectors! Furutech is known the world over for a huge variety of top-quality OEM parts and delivers consistently superior results by following Pure Transmission principles; examine every link in the power and signal path and ultimately optimize each and every element. The new FPX series feature a new plating technique which delivers sonic improvements and a more durable finish. 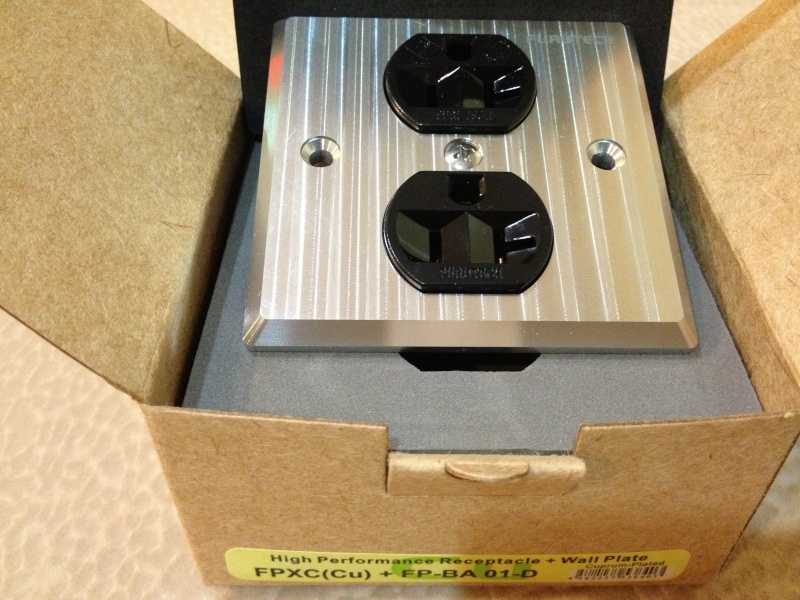 Also Unique to the FPX series is a pin insert construction that ensures increased contact areas,stable transmission and the tightest contacts in the Audio industry and they won’t scratch or mark the plating on male AC connectors! “The new Rhodium plating offers high resolution, transparent and precise sound. The high signal-to-noise ratio delivers greater contrasts across the entire frequency spectrum along with tight and precise bass. Rhodium especially excels in the high frequencies which are detailed and clear. “Gold plating is ideal for enthusiasts who prefer a flowing, somewhat warm and softer sound. “The unplated copper reveals none of the characteristics of the rhodium- or gold-plated versions. It is full of vitality and energy with powerful bass and midrange texture so some people will find this model very interesting indeed. There is a slight tendency towards brightness in the midrange but the clarity yields a very special vibrancy to the sound. stable transmission and the tightest contacts in the Audio industry and they won’t scratch or mark the plating on male AC connectors! ・Accommodates cable diameters from 10 AWG to 24 AWG. ・Dimensions: 104.2mm×33.5mm (L×W), 28.2mm thick. » Tile ID - Help! Schaeffenacker? » Small plate with aubergine decoration, signed Estel ?